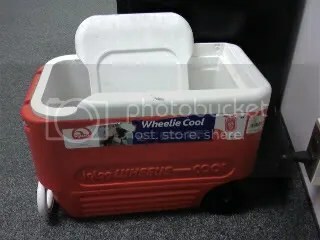 I spotted the name of this cooler at work as I walked by today. It had me cackling all the way down the hall. The Wheelie Cool. ha. HA. I have made everyone at work aware of the AWESOME name and they continue to think I’m crazy. Not sure why.